Photo Shows What Tick Eggs Look Like-Fiction! - Truth or Fiction? 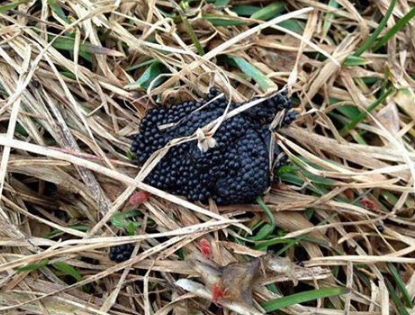 Photo Shows What Tick Eggs Look Like-Reported as Fiction! 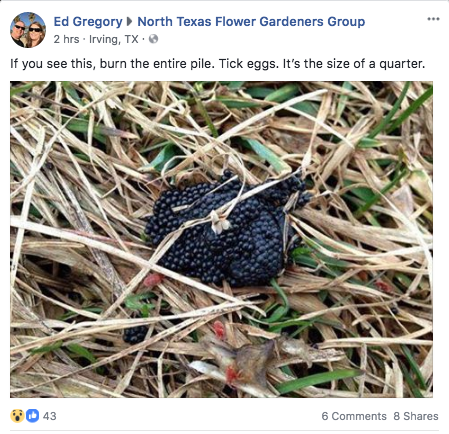 A photo making the rounds on social media shows a tick eggs and warns viewers to burn it if they see it. This photo has been circulating since at least 2015, and details about where and when it was taken are spotty. That makes verifying its claims that it shows a tick eggs difficult. But, based on similar claims on photos, we’re reporting this one as fiction. 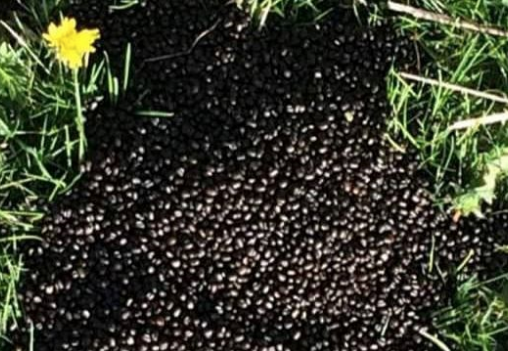 Warnings about “tick nests” on social media appear to be based on a photo that doesn’t actually show a tick nest. Given that there’s nothing in the photo to provide perspective, there’s no way to prove or disprove that the glob is actually the size of a quarter. But, based on how highly detailed the individual “eggs” appear in the photo, it’s safe to assume the glob is larger than a quarter — or that the photo was taken with a “macro lens,” which is designed for shooting very small items and close range. Either way, there’s no way to make a determination on the claim that it’s the size of a quarter. But at second glance, these eggs don’t match the description of tick eggs. Tick eggs can be reddish-brown or black, but they’re always translucent. And they’re also tiny. Deer tick larvae are about .07 millimeters long. The “eggs” that appear in that photo appear to be much larger. In fact, they appear to be larger than most full-grown ticks. Similar photos have been misidentified as tick nests in the past, including this one from Ontario. Tick nests can be discovered and destroyed in the wild. But this photo does not show a tick nest. Despite persistent claims on social media, this photo does not actually show a tick nest.